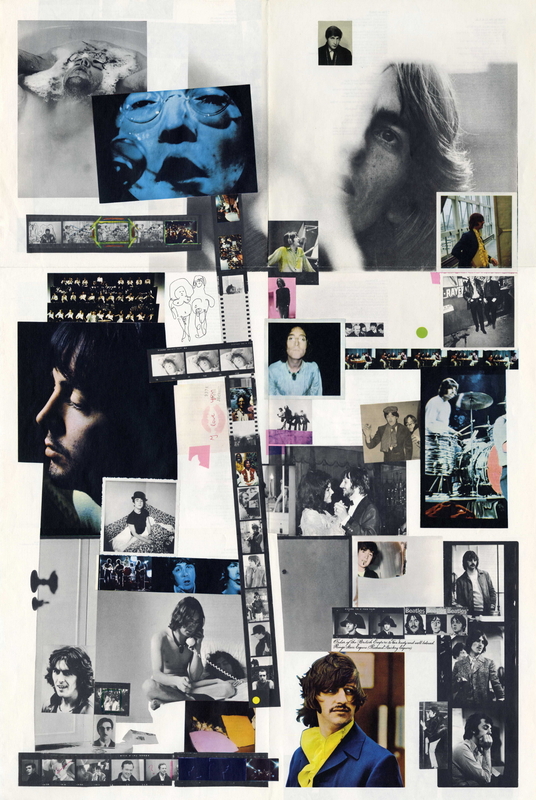 After the release of The Beatles on 22 November 1968, the band was at a crossroads. The recording of the double album did have its high points that brought them together as a cohesive unit and as friends, but on the same token there were also many days of frustration, aggravation, and barely-contained animosity. Again–there are many and extremely varied reasons for these cracks to start showing, and each could be valid reasons for the eventual breakup in early 1970. They were no longer the nutty Fab Four of the cartoons and movies, nor were they any longer an endlessly-touring band like they were in the early ’60s. They’d grown and matured, married and split up, had their own ongoing projects apart from the band, and to top it all off, they were also ersatz businessmen running Apple Corps. Things were changing, whether they wanted them to or not. Having finished everything that needed doing, the four went their separate ways for the holidays, spending time with their loved ones. They would eventually meet up again near the end of 1968 to throw ideas around for their next project. Spirits were flagging, and something desperately needed to be done to turn it around. Paul eventually hit on the idea of returning to touring, which was nixed pretty quickly, though they eventually thought that perhaps a television special might work. When they’d filmed the promotional film for “Hey Jude” in front of a small audience, all four had enjoyed the experience, and felt that might be a possible move. In the meantime, however, they had a few recordings that needed releasing before they could start anything else. The band of course had always thought of the fans, regardless of their internal squabbles. 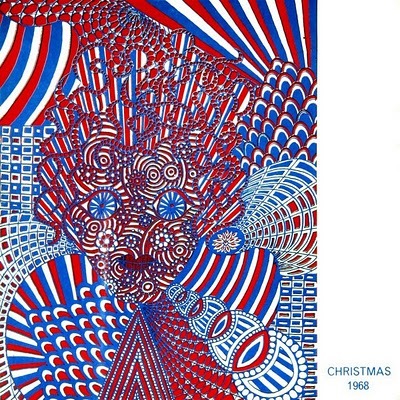 In late 1968, however, it was time for another fan club recording, and no one was ever around long enough to have the entire group in the studio to record a season’s greetings like in the past. So for this year, each member donated their own separate recordings, this time edited and produced by radio personality and close Beatle friend Kenny Everett, and released the week before Christmas. The nearly eight-minute recording might seem a bit disjointed at first listen–Ringo seems to be the only one here in high spirits, playing silly recording tricks; Paul donates an acoustic Christmas song, and John reads two of his wordplay poems (the first, “Jock and Yono”, seems to be a veiled grumbling towards the other three about not accepting Yoko’s consistent presence in his life), and George just seems tired, saying little but bringing in a nervous Tiny Tim to perform their “Nowhere Man” in his own strange, inimitable way. The only thing that keeps it together is the studio sound effects brought in by Everett, such as dropping in heavily treated bits of tracks from The Beatles and throwing in a very bizarre “Baroque Hoedown” by Perry & Kingsley in amongst the solo recordings. It’s kind of a sad and somber outing, but at the same time it’s creatively done, just enough to dismiss the prevailing mood at the time. The band’s next album, the soundtrack to the film of the same name, was released amidst a bit of fan and critic confusion; why had not they released this album in July 1968 alongside the film’s release? And furthermore, why were we treated to only four new songs, two retreads, and a full side of George Martin’s film score? It wasn’t the quality record the fans and the critics had come to expect of the band, and while the film remains wildly popular with fans new and old, the album is considered more of a curiosity piece than anything else. The delay in release was actually the band’s decision–they weren’t all that excited by the film project itself (though they did enjoy watching it), and were more focused on The Beatles and its related singles and wanted those released first. Furthermore, the film would not get a stateside release until late November, a week or so before The Beatles was set to be released. Regardless, the fans were finally able to hear four of the songs they’d worked on throughout the film’s production in 1967, amidst the Magical Mystery Tour and Sgt Pepper projects. Because of the age of these tracks, they sound more upbeat and lively than the tracks heard on The Beatles, and in effect closer in sound to the other tracks featured on the album (“Yellow Submarine” and “All You Need Is Love”) and in the movie (such as 1965’s “Nowhere Man”, 1966’s “Eleanor Rigby” and the various Sgt Pepper tracks used). The movie itself is quite impressive, given its relatively simplistic plot: an idyllic Eden going by the name of Pepperland, where all is music, peace, love and positivity, is attacked and subsequently taken over by the monstrous and disturbingly psychotic Blue Meanies. It’s up to a lone survivor, Old Fred, to escape in the Yellow Submarine–itself the ship that brought their ancestors to this land–and find help. Eventually Old Fred picks up the four Beatles (and the diminutive but resourceful Nowhere Man who they pick up along the way) and brings them back to Pepperland, where they eventually seize the day and return the land to its glory. The script is filled with humor, so much so that I personally discover a new joke or line each time I see it, and I’ve been watching the movie since the late 70s. There are a lot of musical puns–Pepperland’s ancestors arrived ‘four scores and thirty-two bars ago’, for instance–as well as a bevy of Beatles references, such as Old Fred’s stuttering pleas using the lyrics to “Help”, and John and Paul referencing “A Day in the Life” while in the Sea of Holes (J: “Hey, this place reminds me of Blackburn, Lancashire.” P: [rolls eyes] “Oh, boy…”). Then there’s the local puns (“Can’t help it, I’m a born lever puller.”) and wordplay (“Frankenstein!” “I used to go out with his sister.” “His sister?” “Yeah, Phyllis.”). The story isn’t all laughs, of course. If one is familiar with the history of World War II and postwar Britain, there are some rather chilling allegorical visuals going on as well. Post-attack Pepperland is literally a gray and sad place void of color, with many of its buildings and statues destroyed by enemy fire, much like the bombed out cities of Britain. There’s even a hint of Nazism prevalent in the latter half of the film, with many fearsome foot soldiers (literally–they have guns coming out of their shoes) always marching through the area and capturing any runaways. [Perhaps the most visceral use of this is when a Blue Meanie nearly captures the Beatles, staring them down and asking “Are you bluish…? You don’t look bluish…”] It’s only when the Beatles release the local version of them–Sgt Pepper’s Lonely Hearts Club Band–from their anti-music bubble that peace and love, not to mention brilliant rainbows of color, is returned to the land. The allegory here isn’t overt, and most likely does not translate to its younger fans, but it is used here cleverly so that the Blue Meanies are truly believable antagonists and not just weird and scary characters. The film’s creators were also able to seamlessly integrate the music into the film’s plot without interrupting the events like they may have in the previous films featuring the Beatles. 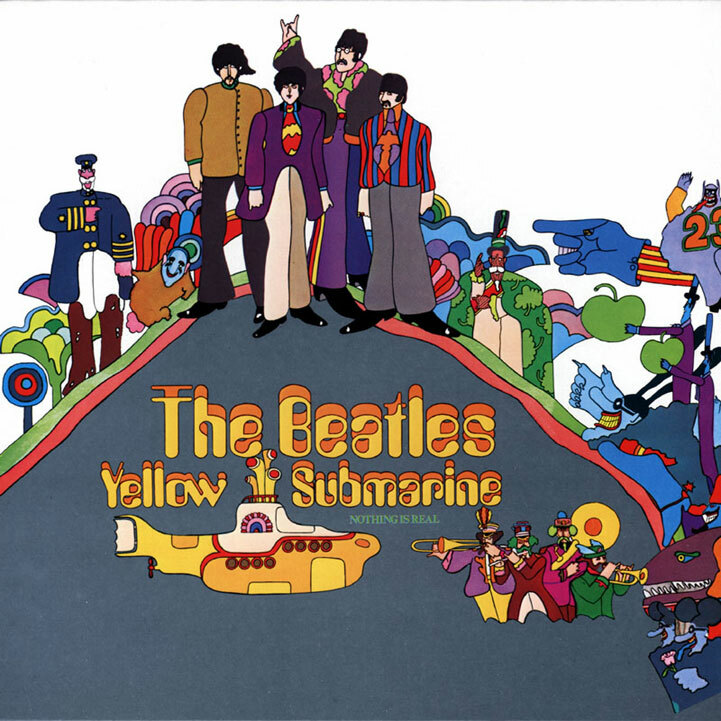 The double-delivery of “Yellow Submarine” and “Eleanor Rigby”–the hit double-sided single from August 1966–serves as the opening credits and scene setter after the prologue, with the former showing the titular vessel traveling/flying through various landscapes looking for help, and the latter showing a squalid, urban Liverpool and finally finding help in the form of Ringo. A fantastic rotoscoped sequence in the Foothills of the Headlands features John singing and dancing to “Lucy in the Sky with Diamonds.” Even an outtake snippet of 1965’s “Think for Yourself” gets a quick appearance when the band sings the “Have you got time to rectify all the things that you should” line to wake up Lord Mayor. The soundtrack may have been an afterthought to the band, but it was quite an important piece to the film itself. The Revolver track and single is used as the theme song here, setting the tone for the entire movie. The song had always been a simply written but effective story-song about a mythical submarine and its inhabitants, but in the context of the movie, it perhaps hints that these submariners may have in fact been Pepperland’s ancestors. If one notices, the entire opening credits are played against a black background, never showing too much color, tying in the war-torn Pepperland in with the dirty back alleys of Thursday morning Liverpool. In effect, the theme song not only lifts the spirits, but brings hope. Interestingly, this track was originally recorded for Sgt Pepper’s Lonely Hearts Club Band right around the same time as “A Day in the Life”, but left off that album as it did not fit thematically. [Well, it could in a roundabout way, it being a very George-like snide remark about being a contracted writer for Northern Songs Ltd–the band’s music publishing company–and could be seen as a Sgt Pepper Band member grousing…but on the other hand, it’s too cynical of a song, compared to the others.] Despite its somewhat odd placing in the movie as the musical segment during their trip through the Sea of Science, the movie relies on the song’s aural strangeness to fit in with the scientific visuals of oscillator waveforms, atomic orbits, and mathematical shapes. Only then do we notice how creative the band was with this track; there are dissonant chords galore in the second half of each verse, and with the chorus we’re treated to a lot of minor chords where we’re expecting major ones. We’re also treated to an incredible amount of heavily-treated studio noise from a bleating trumpet played by Paul, an echoed glockenspiel played by John, and a number of tape effects. This short and incredibly simple song from Paul was originally written as a possible contender for the Our World BBC project (“All You Need Is Love” won out), but it catches the spirit of the movie wonderfully. Recorded in a quick nine takes on 12 May 1967, it’s meant to mirror the childlike singalong of “Yellow Submarine”, and is used as an initial sendoff when the boys first head out and familiarize themselves with the ship. It’s used again at the end of the film during the live shot epilogue. The band themselves don’t mime to it, but they do give it a good countoff as the song starts. John’s rocking number was one of the last songs to be recorded before they headed out on their trip to India, and engineer Geoff Emerick recalled that this was most likely one of the last songs they did as a truly cohesive (and content) unit. It’s got an incredibly tight and crisp sound, with John pounding out an a great blues riff on the piano, a searing guitar solo from George (utilizing a recently purchased distortion pedal here), an amazing bass line from Paul, and stellar drum work from Ringo. The song was written specifically for the movie, and shows up in the latter half of the film in an almost vaudevillian sort of way–the Beatles and the Sgt Pepper Band manage to get a three-headed guard dog onto their side while singing this song and playing (and hiding inside) an upright piano. The scene works within the context of the movie, showing how the force of the Blue Meanies is deteriorating, but at the same time it does feel as though it interrupts the flow of the film. Because of this, it was edited out of the US version and replaced by a few other quick scenes, and not seen again in the US until the 1999 restoration and release. As an aside, Paul’s barking at the end appears to have been influenced by a track he’d recorded with Paul Jones a few days previous called “The Dog Presides” (he played drums on that track, which also features then-Yardbirds Jeff Beck and Paul Samwell-Smith), which features an actual dog barking. Being in a playful mood (and seen on the video created for the song, itself shots from the ‘Lady Madonna’ promotional film), Paul and John riffed on the barking during the fadeout of this track which was kept for the final mix. George’s second donation to the soundtrack is a blissed-out free-for-all firmly cemented in the G chord and refuses to budge, but its true spirit lies in the lyrics and the performance. The lyrics are quite indicative of their 1967 period–it was recorded late May/early June–and it’s another rare song not recorded at EMI (it was put down at De Lane Lea Music in Soho, London). Fitting in quite nicely as the love-and-peace-for-all final theme to the movie, the lyrics are all about just that–there’s just so much positivity here, it’s too much to take in. The emotion is intensified by brilliantly emotive playing from the band, from George’s explosive, feedback-laden intro and the trio’s heartfelt vocal delivery, to the heraldic horn riffs played as the song slowly fades out. John’s song for the Our World special makes a second appearance here on this album (third if you count the US Magical Mystery Tour album), but the song serves as the turning point of the film, where the Beatles finally save Pepperland from the Blue Meanies. A wild tête-à-tête between John and the Dreadful Flying Glove unfolds, as John continually undermines the Glove’s attacks by literally spouting the song’s lyrics at it. It is eventually crushed and chased away by a tangle of a word cloud, the Blue Meanies begin their retreat, and joy returns to the land. It’s a bit of a silly ending, but it’s wonderfully fun and upbeat, mirroring the song’s meaning in the process. As this album was considered more of a stopgap and a filler release until their next project, it’s not considered one of the band’s more important releases. In fact, the response to the album was so mixed that they contemplated releasing the four previously unreleased songs as an EP, appending the still-unreleased “Across the Universe” as a bonus sixth track. They went so far as to creating a mono mix for these tracks, but as they ended up not following up on this, the mixes were never released until the 2009 box set The Beatles in Mono was released, appearing on the box’s version of the Past Masters release. By the time this album was released, the band were already at work on their next project–or the beginnings of one, anyway. At the beginning of January, while still deciding what to do, they convened not at Abbey Road but at Twickenham Studios, where they would start rehearsing while being filmed for the potential television special. Tensions were dangerously high, and despite moments of levity and hilarity, the four men had started getting on each other’s nerves. One infamous moment was caught on film and is seen in Let It Be, with Paul and George arguing about a riff, at which point George glares at him saying “Look–I’ll play whatever you want me to play, or I won’t play at all, if you don’t want me to,” in a light voice underscoring just how irritated he is. Despite all the animosity, however, they soldier on, eventually moving over to the brand new Apple Studios in the basement of their Savile Row offices. That last week and a half raised spirits somewhat, especially since they were in a warm recording studio and not a cold and challenging film studio, but the damage had been done. The project, dubbed Get Back from Paul’s shuffling rocker single which came out that April, as well as a thematic name for their “getting back” to the simplicity of the four of them playing with minimum overdubbing, didn’t so much come to a close as it fell apart. By this time George Martin wanted little to do with the project. The tapes were given to Glyn Johns, who created one version of the album but but was never released, though it did become a well-circulated bootleg, thanks to unofficial copies floating out to the public. Frustrated and unhappy with that version as well, they chose to shelve it until a later time. It wasn’t until 1970 when film director Michael Lindsay-Hogg completed the film and the tapes had been drastically remixed and overdubbed by Phil Spector, that it was released under the title Let It Be. In the meantime, the band members continued to go their separate ways. A few singles leaked out in the first half of 1969, but that was about it. It looked like it was the end, until the four decided…if they were going to break up–and all signs showed that they were indeed headed in that direction–they certainly didn’t want to go out on a dud like Get Back. They instead chose to reconvene one last time at Abbey Road, and record their last official studio album.